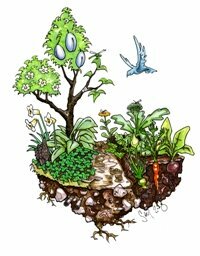 Learn home-scale applications of permaculture - a revolutionary design system for sustainable living. The course covers permaculture principles and ethics; basic design; many practical strategies you can begin implementing at home right away; and a detailed tour of permaculture projects in action at Alderleaf. Learn how to get started with this ecological approach to designing for green human settlements. Permaculture design integrates the best of sustainable food production, natural building, forest stewardship, habitat restoration, water management, alternative energy, and much more. It can be applied on a home-scale up to the community level and beyond. The class takes place at Alderleaf Farm in Monroe, WA. Our beautiful 15 acre property is nestled in the foothills of the Cascade Mountains 35 miles east of Seattle. It is an evolving model of environmental sustainability and features our classrooms, office, residences, ponds, a large creek, forested land, pastures, many gardens, chickens, sheep, and food forests. "Everyone should learn about permaculture. I look forward to the day when "permaculture" becomes synonymous with "living". "Absolutely phenomenal, very hands-on. Great abundant practical know-how fest." "Very inspiring! I received lots of new ideas." "Fantastic class that teaches life-long skills and how to care for the earth, care for people, and plan for the future of our world." "Good time with good people. I understand it may be tough to fit all of that knowledge into two days and yet it was very informative and good exposure to an endless craft." "As inspirational a group of instructors I have encountered in a long time. Please keep sharing your knowledge and spreading your commitment to our planet." 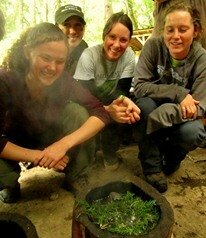 Interested in comprehensive training in permaculture and nature skills? Check out the two-week Permaculture Design Course and the nine-month Wilderness Certification Program. If you are interested in hiring permaculture consultants to create a permaculture plan for your land we recommend Terra Phoenix Design.